If you’re looking to buy a home in Nashville, and you’re drawn toward modern or contemporary design, you’re househunting in Music City at the right time. 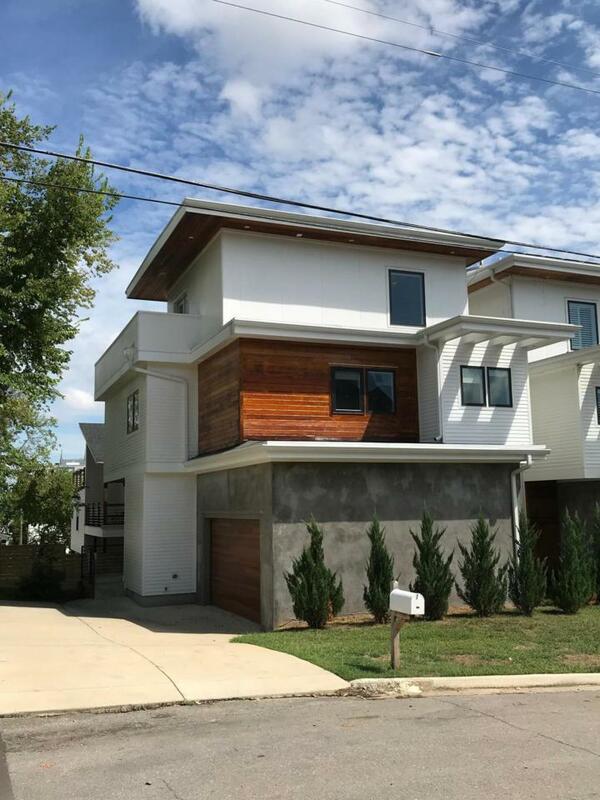 Even 10 or 15 years ago, modern residential architecture — sleek and crisp lines, ample amounts of glass, a fair share of industrial-leaning materials — wasn’t exactly plentiful here in Nashville. There were pockets, to be sure, but it was markedly different from today, when developers and builders are sprouting new builds across the city like so many fall mushrooms. That said, there are still pockets in Nashville where modern homes are more common. There are just more pockets, in more neighborhoods. 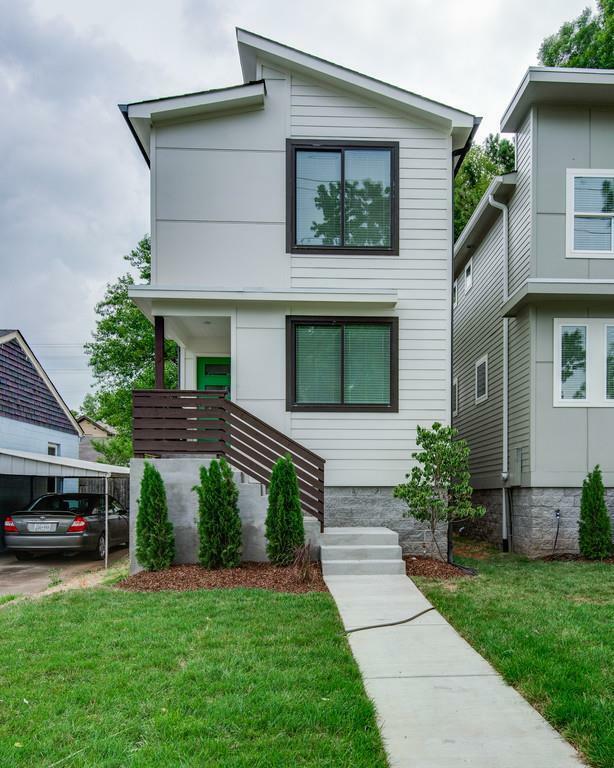 Set on finding a sleek modern home in Nashville, but not quite sure where your ideal pocket is? 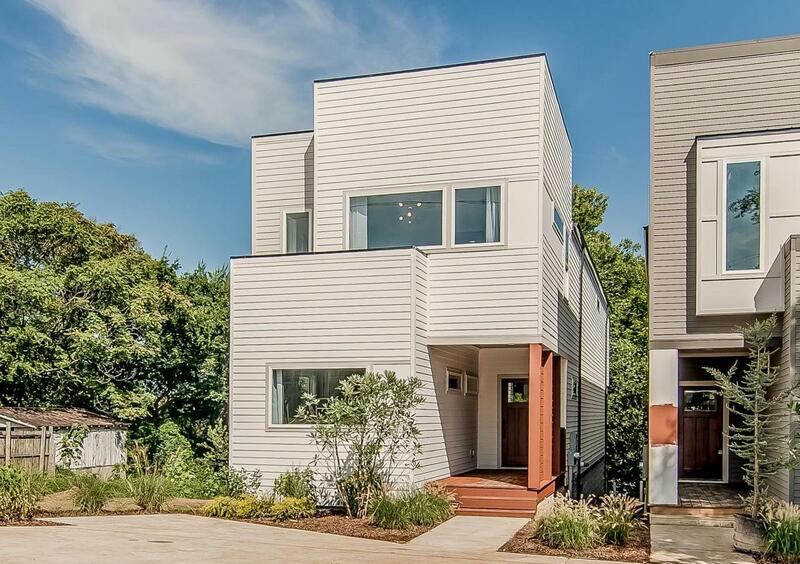 Below, a few Nashville neighborhoods that tend to have their fair share of modern residential architecture, with homes on the market now that offer modern design touchstones. Just south of downtown and close to well-established 12 South, Wedgewood-Houston’s come up in a big way in recent years, particularly attracting young professionals — usually a receptive audience to modern design. 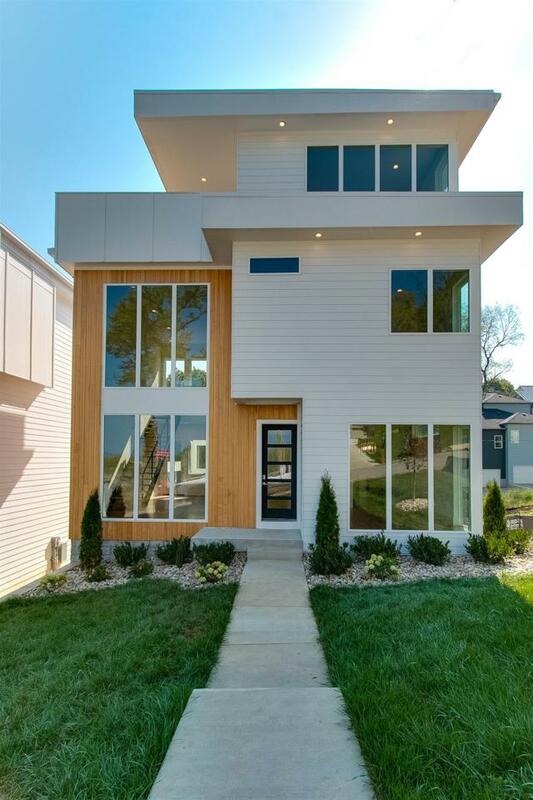 So a healthy share of new Wedgewood-Houston builds have offered simple, sleek design like this: blocky but fun facades, big picture windows, the occasional big and bold finish choice (check out the bathroom tile). 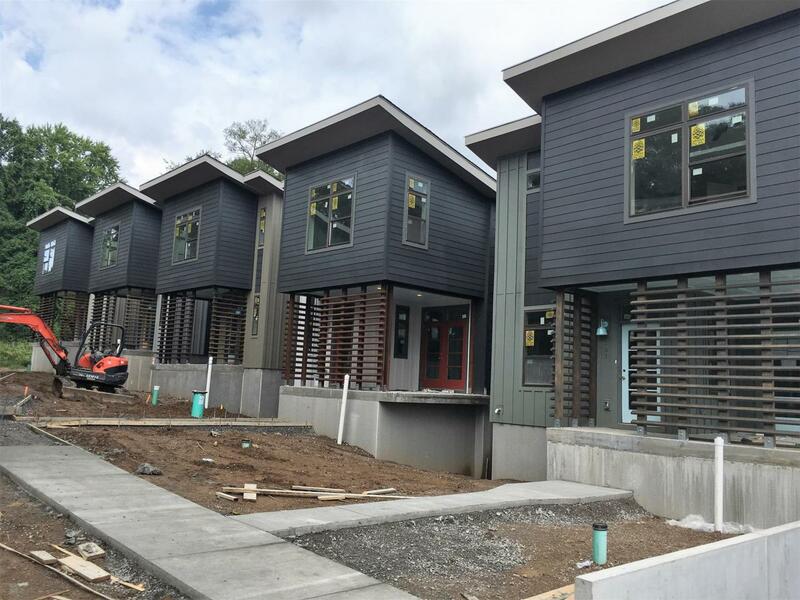 The recent Nashville building boom might have had its most pronounced effect on The Nations, a West Nashville neighborhood that feels like it’s been almost completely razed and replaced with taller, newer homes. Many new homes in The Nations have a more Charleston-esque vibe, with stacked porches and more traditional details. But plenty offer modern angles, too, like this home, which works in clean, flat-front cabinetry and industrial details like exposed ducts and steel stair rails. In the Gulch itself, your modern-home options tend to be of the condo persuasion. If you’re looking for a single-family home, Gulch View just around the way has lots of new builds, most of which bring in at least a share of modern design. This large Archer Street home is absolutely brimming with modern detail, from the concrete and stained-wood facade to the extra-cool third-floor roof deck. The other Sylvans — Park and Heights — tend to be more known for their nicely renovated older homes. But Sylvan Summit, perched up on a hill with sprawling views of the city, is brimming with luxury modern builds like this one. If prodigious use of glass for maximum natural light is what draws you to modern design, this could very well hit your Nashville househunting sweet spot. To the profound chagrin of some East Nashvillians, who love the area for its historic character, a good bit of East Side development is bringing in a modern flair. Especially in cottage communities like Joule, which offers stylish units like this one, with a butterfly roofline and eye-grabbing porch privacy detail. 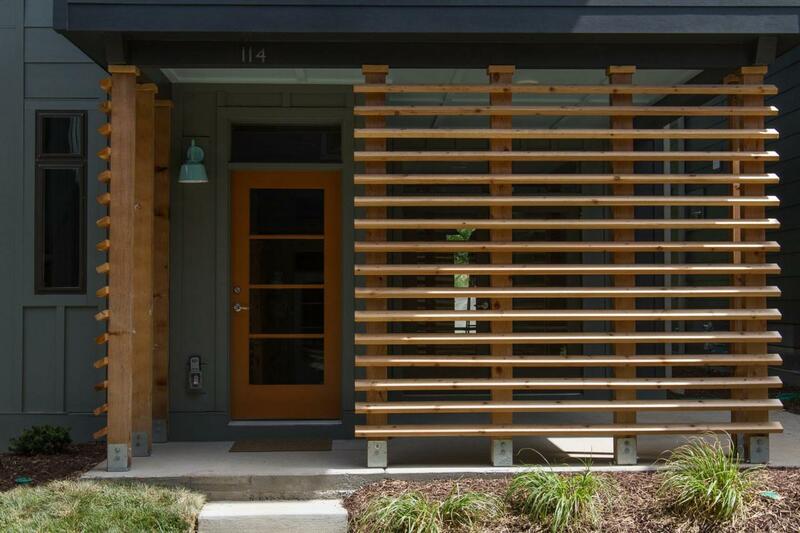 Are you about to start househunting in Nashville, with an eye on modern design? We’d love to help you find a new home that nails your taste. Reach ACRE here, and tell us about your wish list!